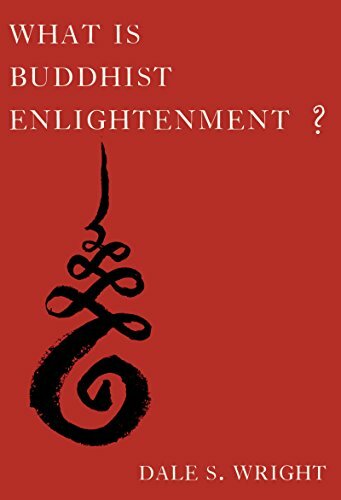 Review - What Is Buddhist Enlightenment? The story of Lear is the story of how a king can become a man. Every action, every word of the last scene functions as an onslaught on all fundamental negations of human dignity; and, therefore, the central thrust of the play is positive and creative.1 One of the main critical problems arises in attempting to understand the "blinding" scene, which is one of the most cruel and vicious scenes in the history of dramatic literature. Many brilliant critics have argued that the scene should be cut; that it is fit for reading only, but should never be shown on stage. Coleridge says: "I will not disguise my conviction that in this one point the tragic in this play has been urged beyond the outermost mark and ne plus ultra of the dramatic. "2 There is no doubt that the scene is cruel and vicious, but Shakespeare knew well what he was about, and has not gone over the edge in this scene. He is very much in control, and the play requires that the scene not only be left in, but that it not even be played down. All the horror and pity that is implicit in Cornwall's blinding of Gloucester must be displayed on the stage. "See better, Lear", for your sake. "See better" becomes the cry of man and the gods directed towards King Lear as he walks toward his grave in blindness and madness. Gloucester's "enlightenment" comes only when he learns to "see feelingly". I find this powerful idea of seeing feelingly central to Dale S. Wright's book, What is Buddhist Enlightenment because both Lear and Gloucester achieve enlightenment in Shakespeare's famous play after a long and painful road has been traveled. Wright opens with a chapter considering Thic Nhat Hanh's Los Angeles Times newspaper article which was written in response to the severe police beating of Rodney King. In the piece, which exhibits a contemporary image of enlightenment, Thic Nhat Hanh writes he could almost feel the blows to King's body and further that "I was able to see that the policemen who were beating Rodney King were also myself." From the Buddhist perspective, I have not practiced deeply enough to transform the situation with the policemen. I have allowed violence and misunderstanding to exist. Realizing that, I suffer with them, for if they do not suffer, then why would they do what they did? Only when you suffer much do you make other people suffer; if you are happy, if you are liberated, then there will not be suffering in you to spill over to others. That captures some key ideas in Buddhist practice: transformation, liberation, practice, suffering, society, and connectedness. Thic Nhat Hanh's willingness to take the blame is based on his belief that we are all responsible collectively for the violence and fear in the world. Chapter 2 discusses the Korean film Mandala in order to consider the diverse approaches that enlightenment can encompass. One of the important aspects of the book is the analysis and description of the many faces of Buddhism. As far as enlightenment is concerned, the main message is that the author believes enlightenment is not a static thing, and is not the same thing for all time and all Buddhist practitioners. A final section discusses how enlightenment might be relevant today, and how the concept might evolve to fit contemporary situations and preoccupations. In Chapter 3 Wright reflects on non-theistic forms of religious practice that may also provide a way for enlightenment in our current time and place. Chapter 4: "Enlightenment and the Experience of Karma" or can there be morality with no after-life – laws with no lawgiver? Chapter 5 considers whether there is a moral dimension to Zen training and enlightenment by looking at the roles played by a large number of Japanese Zen masters in the Second World War who actively participated in their nation's ruthless military aggression. Chapter 6 discusses fallibility and infallibility by tracing how the great Zen masters are depicted as demonstrating supernatural powers and transhuman capacities. Chapter 7 "undertakes a philosophical examination of the Buddhist concept of bodhcitta" (the thought of or aspiration for enlightenment). Chapter 8 tackles the confusion of language in Zen Enlightenment – is the state of enlightenment beyond language or a function of language? This is the most philosophical of the chapters. Chapter 9 examines "Enlightenment and the Practice of Meditative Reading" – do we change a text by reading it or does it change us? Chapter 10 discusses the Buddhist path from an initial "concept of what enlightenment might be to all the way through to the culminating experience of enlightenment." The book is readable and thought provoking and is, as the author says, "a book of reflective inquiry." "What kind of lives should we aspire to live here, now and into the future? The overriding concern in this book, therefore, if for the meaning of enlightenment for us – for those of us living in the world right now." Wright uses the question "what is Buddhist enlightenment?" to discuss the questions that people, regardless of religious background, ask themselves about the meaning of life. When I finished reading the book my wife asked me, "What is that book about?" My answer: teach me to see feelingly. Bob Lane is Professor Emeritus Philosophy at Vancouver Island University and the author of Reading the Bible: Intention, Text, Interpretation.